At Boehringer Ingelheim Svanova we work to improve animal welfare and food hygiene globally by developing, producing and selling high-quality veterinary diagnostic solutions. We ensure that the quality of our processes, products and services is continuously optimized and improved to meet the needs of our customers. 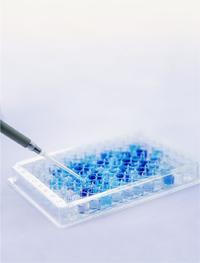 We want to deliver high performing products for large volume laboratory testing to monitor, prevent, control and eradicate significant animal diseases. Based on our own research and in collaboration with our global network we also want to offer innovative solutions to address unmet diagnostic needs. We are driven by the ambition to improve animal welfare since this is the key to a healthy future for mankind. The BI Svanova’s vision is to improve health and well-being of mankind by contributing to safe and nutritious food. The overall principle Value through Innovation will help us to achieve our vision.